Available in five size configurations! 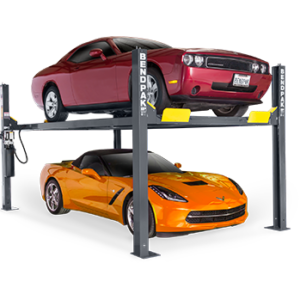 The BendPak HD-9 series is a very popular line of home storage lift and we’ve sold a great number of these over the last few years to satisfied customers. At 9,000 lb. capacity, it’s robust enough for most vehicles and the 5 different sizes available mean there’s likely a version that fits your needs. Give us a call to discuss the various options and accessories available. We’ll also handle delivery and installation!